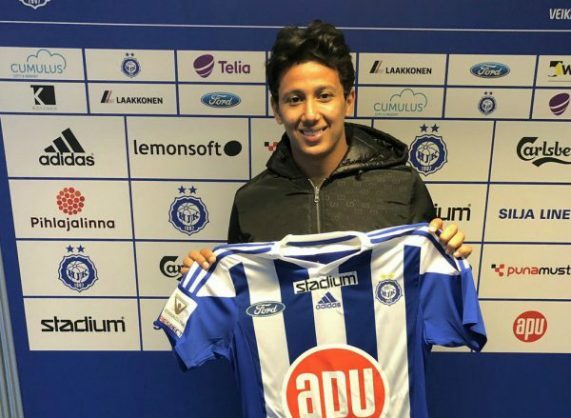 Following his move to Finland, Egypt striker Amr Gamal spoke about the dispute between him and Bidvest Wits coach Gavin Hunt. Gamal completed his loan deal to Finnish club HJK Helsinki this month after cutting short his Wits stay. The striker made a switch to Wits in June last year, but things did not go as expected for him. He was released by the Students following a request from Al Ahly, whom he is still contracted to. “Some of the coach’s statements were misunderstood in Egypt,” Gamal told DMC Sports TV channel. The 26-year-old striker made 13 appearances for Wits and scored five goals during his stint with Hunt’s side.